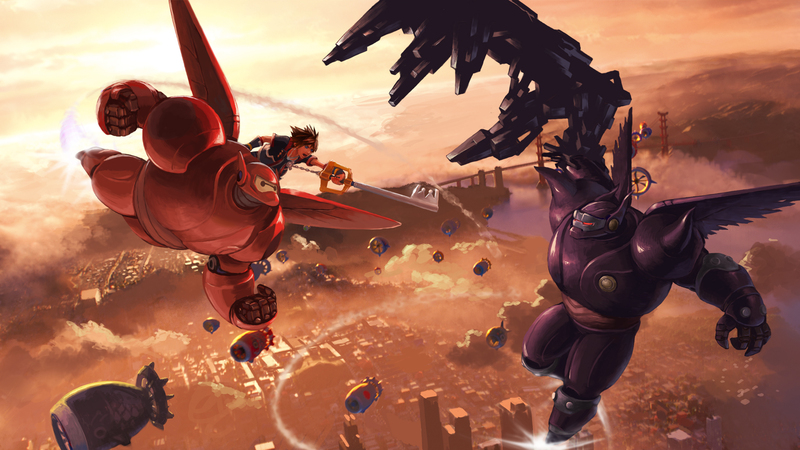 Kingdom Hearts has had a massive year, with the release of Kingdom Hearts HD 2.8 Final Chapter Prologue all the way to the unveiling of the Toy Story world for Kingdom Hearts 3! One of the biggest reveals was that Kingdom Hearts 3 will be launching in 2018 on PlayStation 4 and Xbox One. With 2018 quickly approaching, English voice work for the upcoming game will hopefully be starting soon. While there has been no official confirmation of the English voice cast having started work on the game, it's relieving to note that Scott Adsit is pretty much a lock-in to return as Baymax for the world based on Big Hero 6. It's weird to think, and I'm sure you've talked to people who have experiences or will, presumably the character will live on when I'm gone and so there will be people imitating me because I can't be there and I will be there any time they want me to be. At this point I don't want to hear someone else doing my voice. It is exciting to learn that Scott Adsit will always be around to voice Baymax, as it just wouldn't be the same to listen to the character with someone else voicing the loveable companion to Hiro. For those who continue on listening to the podcast, Leonard Maltin comments on Scott Adsit voicing Baymax for a video game, however this was most likely for the Disney Infinity series where Baymax was a character in 2.0 and 3.0 and it is not a reveal that he is currently voicing Baymax for any future video games. Baymax will return later this month in Big Hero 6: The Series, which will kick off on November 20, 2017 on Disney Channel and Disney XD with a one-hour special. The entire voice cast from the movie will return, with the exception of Damon Wayans, Jr. (Wasabi) and T.J. Miller (Fred) who have been replaced by Khary Payton (The Walking Dead) and Brooks Wheelan (Saturday Night Live) respectively. Thanks to Sign for letting me write this one up! I think it's a great mentality for Mr. Adsit to have, always wanting to return to voice the character whenever needed. Dream Drop Distance disappointed me with how letter core-Disney voices reprised their roles for the game, outside of the main Disney crew of course. Hopefully since Disney is heavily involved with KH3 this time, they will be helping out with the budget for the voice actors and working out schedules for most official voices* to reprise their roles for the game. Remember how KH1 and KH2 had an awesome celebrity voice cast? And Birth by Sleep brought in famous actors such as Willa Holland, Leonard Nimoy, and Mark Hamill? It'd be amazing for that kind of star power to return to KH3 as well. *Tom Hanks won't be reprising Woody in the game. That's a given. Honestly, I think the Disney Revival voice actors will all reprise their roles. Their characters are more contemporary. Though if A Bugs Life ends up being a world, I hope that Corey Burton does a good Kevin Spacey impersonation for Hopper. So long as he's also voicing Dark Baymax, talking about how he's gonna spread the darkness and all all that. I can't see why he wouldn't also voice Dark Baymax, unless they decide to keep that one mute for whatever reason. Would be interesting to hear if Scott will do a evil impression on Portal Baymax. I'm really liking having him returning to voice. Hope for the same with the rest of BH6. I am pretty positive that Scott Adsit will once again voice Baymax. I couldn't picture anyone else voicing him. As for the rest of the cast I hope they return as well. I think it would be especially weird if TJ Miller doesn't voice Fred. I don't think Brooks Wheelan portrayed him that well in "Baymax Returns".